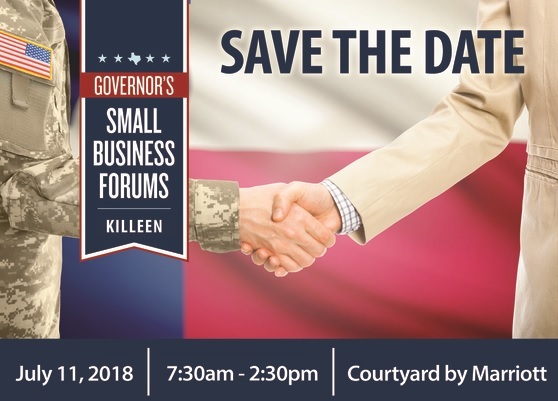 The Governor's Small Business Forum in Killeen, Texas will take place on July 11, 2018. The forum celebrates Veteran Entrepreneurs and Business Owners. Presented by the Office of the Governor and in partnership with the Texas Workforce Commission, the Texas Veterans Commission, and the University of Texas in Arlington Veterans Business Outreach Center, the event aims to provide small business owners and aspiring entrepreneurs with timely, relevant, actionable advice on how to start, grow and sustain their businesses. The Governor's Small Business Forum features private and public resources, practical solutions, best practices and expert assistance on a broad range of business topics and challenges. The Forum is also an opportunity to network with other entrepreneurs, business owners, managers, and business-oriented non-profits, as well as local, state and federal agencies. The event will be held at the Courtyard by Marriott Killeen and takes place from 7:30am until 2:30pm. Parking and Lunch are provided. Can't afford to attend? A limited number of registration scholarships may be available to small businesses and entrepreneurs who cannot afford the registration fee. To learn more, please email our office your interest and inquiries. Learn more about available sponsorship opportunities: 2018 Small Business Form Sponsorship Listing. 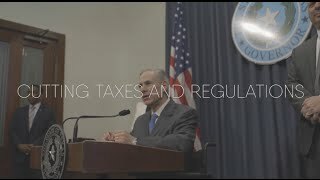 For information on other Governor’s Small Business Forums, as well as other events the Governor’s Economic Development Division hosts, visit https://gov.texas.gov/business/events.